This weekend we went back home (back to where I grew up) because my sister had organised a lovely day out for my birthday. It was a girls day so my husband, her fiancé and my nephew were left alone having a 'boy's day' which ended up being just them watching the baby and football! My sister had organised for us to go and choose some Jo Malone goodies whilst also having the most amazing hand and arm massages ever. 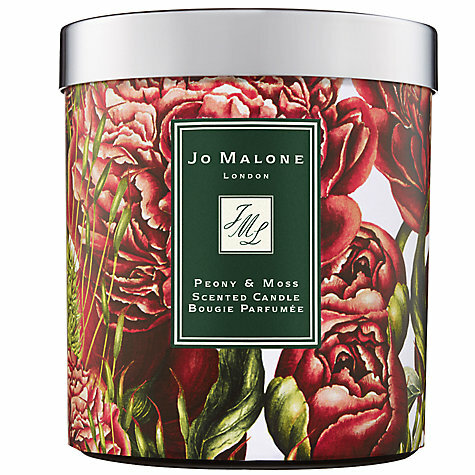 I already wear this scent (trust me if you like a warm, rich smelling perfume, you need this in your life!) and so I wanted to see if they could find another one to layer on top to make a signature scent. The one we found was something I would never have picked myself and was quite surprised I like because I'm not a fan of ginger but together with the oud it smells amazing. I am obsessed with the Jo Malone store interiors, the monochromatic look and the smell means I am drawn in every time I walk past a shop front so the fact my sister booked this so thoughtful. I also want to buy this amazing body creme as well as the grapefruit hand wash for the house. I honestly could buy it all! This morning I purchased the below table for our living room (with my birthday gift card) and I actually cannot wait for it to arrive. 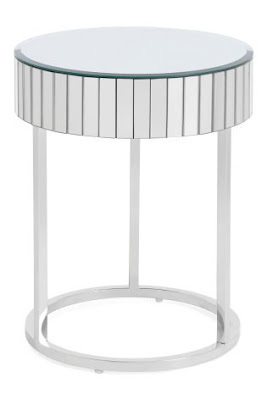 We have a white, grey and mirrored thing going on in the sitting room and this side table will look amazing with some white hydrangeas and my favourite Jo Malone Candle and Diffuser on it. I hate that furniture takes so long to arrive, Next are saying the table has a 11-12 week lead time which is crazy for a high street shop! I am also loving faux flowers, don't get me wrong I love fresh ones too but they last a week and then die which is annoying and I think a waste of money. When I find good fake ones I buy them in bulk as they are so hard to find! I get asked a lot on my instagram where I get mine from so I thought I would link the ones I photo a lot from berry's and grey. Our sitting room has actually changed this this picture was taken, only slightly but I like to move things about so it stays fresh. I post on my instagram in the next couple of days an updated living room picture. My next project in the house is the master bedroom. I want to get it finished by adding the finishing touches like two mirrors behind the side tables, some candles and a tv on the wall would make the world of difference. Whilst I write this I thought it would be fun to add the links to my last instagram outfit as I get a lot of questions on where certain outfits are from, let me know if its useful.